About 15 years of technical writing for training materials, and 10 years of creative writing. It was published by Agile Consultant Guide, LLC. My older brother took his own life in July 2013. He felt that life was not worth living and couldn’t see any potential to move beyond the challenges in his life. As I attempted to heal from losing him, I found myself questioning the value of my own life. I set forth on a journey to improve myself and those around me by taking something I know works well and applying to areas of my life that needed improvement. I’ve worked for many years helping companies and their employees discover continuous improvement strategies—Especially those involving the process of getting things done. I noticed the parallels of several human motivational techniques and Agile Methodology and I blended them together with my own story in this book. Agile is typically used by software development teams to enhance their ability to serve their customers. It’s also a great way to build teamwork, best practices and effective response to change. Faced with insurmountable obstacles, I saw Agile as a way to improve my personal and business relationships. Being Agile is a philosophy that changed my life in many positive ways. I wanted to share this experience with others, in hopes that you can have the same. Yes. This book is available on Amazon and Barnes and Nobles via paperback and digital versions. Autographed hardback copies can be purchased at www.ACG1.net. This is my 1st publication. Book 2 is evolving as we speak and will be released to the public by 4th quarter 2016. 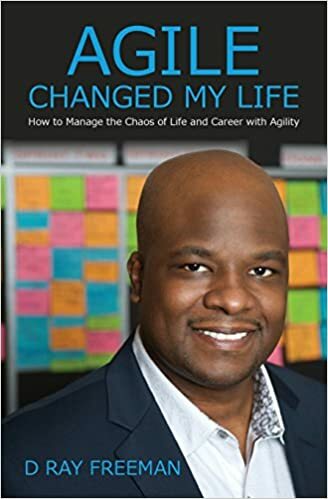 My current book is "Agile Changed My Life" – How to Manage the Chaos of Life and Career with Agility. It’s a must-read for anyone in the software development industry. This book gives a clear understanding of the values and principles of Agile, presented in a self-motivational fashion. It’s taking something that is so effective in the business world and applying it to your personal life for a similar level of benefit. Do you ever feel overwhelmed by the many projects and items that flood your to-do list? Do you have so many things that require your focus that you have trouble focusing? Well I’m here to tell you that I am scatter brained!!! But, being Agile has helped me keep my priorities in line. 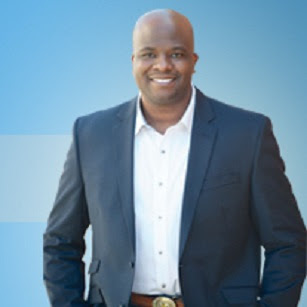 The techniques in this book have helped me to build a lucrative career, an exciting and productive relationship at home and a healthy, stress-free lifestyle that I can continue to improve indefinitely. This book is a quick read and will inspire you to pursue your dreams—one iteration at a time. A portion of the proceeds from the sale of this book will benefit the Brain and Behavior Research Foundation. They are impacting lives by finding effective treatments for mental disorders in men women and children. You can make an additional donation at www.bbrfoundation.org/donate. BLOG WRITER'S NOTE TO AUTHOR: Your book sounds quite interesting. I know that many people have problems juggling everything in their lives from work to home life. I find at times it overwhelms me. I'll definitely check out your book. Good luck with your future writing, and thanks for the interview.